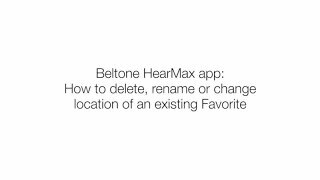 Are my hearing aids compatible with the Beltone HearMax app? 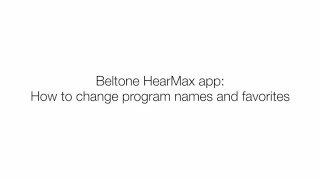 Beltone Amaze, Beltone Trust & Beltone Boost Max hearing aids are compatible. 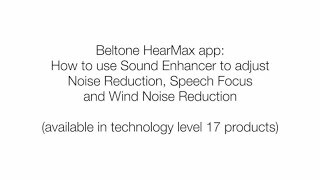 Please see www.beltone.com/compatibility for which app to use if you have other hearing aids. 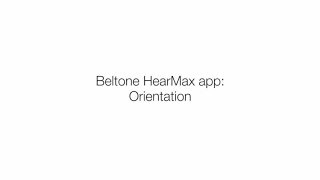 How do I check if my Android device is compatible with the Beltone HearMax app? 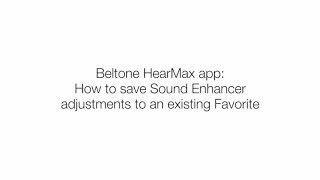 Is my smartphone/tablet compatible with the Beltone HearMax app? 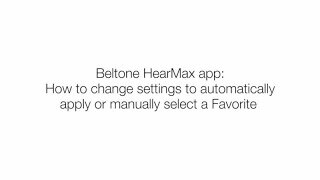 Please go to www.beltone.com/compatibility to see if your device is compatible. iPhone, iPad or iPod touch: You need to first pair the hearing aids with iOS. Go to Settings -> General -> Accessibility -> Hearing Devices and your mobile device will search for hearing aids. Open and close the battery doors on your hearing aids. Tap when they are shown in the display and then tap Pair (twice for two hearing aids) and your devices will be paired. Now open the app and follow the flow to Get started. Android device: Open the app and follow the flow to Get started. Do not pair the hearing aids to the device’s OS. Are the hearing aids paired to other smartphones in the room? If yes, please unpair/forget from other devices before proceeding with any pairing on a new device. Are the hearing aids powered on before starting the pairing? If yes, wait to power on the hearing aids until after the pairing process has been started in the app. Are the hearing aids paired via the phone’s Bluetooth menu already? If yes, forget the hearing aid pairing from the device, restart the hearing aids, and pair from the app menu instead. Is the app reporting ‘Try again’ in the pairing or connect process? If yes, power off the hearing aids and try again. If it consistently won´t connect and the device is not whitelisted, the device is not compatible. I’m connecting my Apple device for the first time, but it’s not connecting – what do I do? 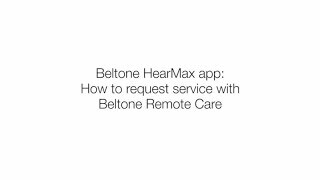 How do I get access to Beltone Remote Care? 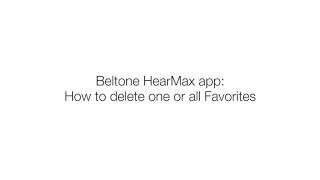 In the Beltone HearMax app, go to the menu My Beltone. 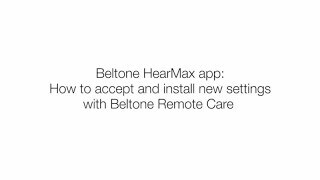 If you see items available under Beltone Remote Care, you have access. 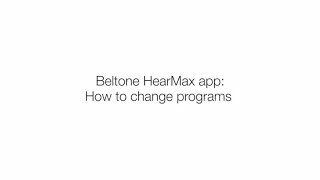 If you see ‘Activate Beltone Remote Care’, tap that and follow the flow to get access. 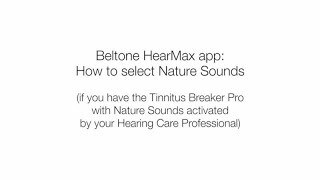 If you do not see Beltone Remote Care in the menu, or if you think you should have more items available, contact your hearing care professional who must enable Beltone Remote Care for you. Please note that Beltone Remote Care is available in select global markets. Where can I find the request I sent to my hearing care professional? Go to My Beltone and then ‘My requests and new settings’. If your request is still active, it is on the Active list. Otherwise, it is on the Closed list. You can restore your previous settings. Go to My Beltone, tap ‘My requests and new settings’, then tap ‘Restore to previous settings’ at the bottom of the screen. You can either restore to the latest settings fitted in your hearing care professional’s office or, if applicable, to the latest settings sent to you remotely. Once you choose, you just follow the installation flow. What do I do if it says ‘Beltone Remote Care is unreachable’? Check that you have a network connection (Wifi or cellular). 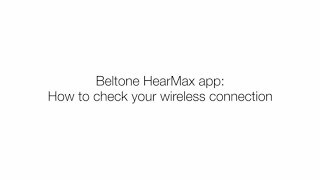 If you have a network connection and Beltone Remote Care does not show, place your finger on the My Beltone menu, and swipe down on the screen. This will refresh the menu. GN Online Services may be temporarily unavailable. If you checked the above, please try again later. How do I stream sound from an iPhone, iPad or iPod touch? If you have Made for iPhone hearing aids, you can connect them directly to iOS on an iPhone, iPad or iPod touch to stream phone calls, music etc. 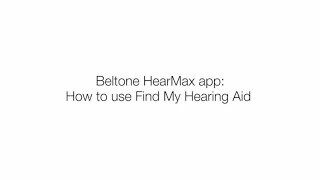 If you do not have Made for iPhone hearing aids, use the Beltone Phone Link 2 to stream sound. 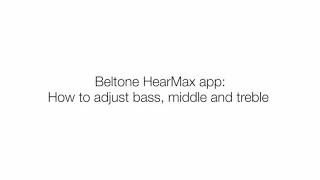 For more information, see the Quick guide to connectivity and the Beltone HearMax™ app. 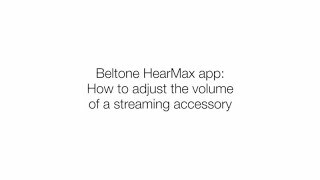 If you have an Android device, use the Beltone Phone Link 2 to stream sound. 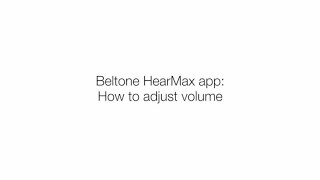 For more information, see the Quick guide to connectivity and the Beltone HearMax™ app. Why can’t I change programs on my iPhone during a phone call or while I’m listening to music? When you stream sound directly from your iPhone, iPad or iPod touch, the hearing aids automatically change to the iPhone program. In order to go back to a hearing aid program, end the phone call or other sound streaming. 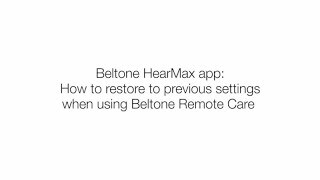 Beltone Remote Care needs to be activated, navigate to My Beltone and click “Activate Beltone Remote Care”. Enabling Demo mode means that you can run the app without connection to the hearing aid system. This is useful for demonstration purposes or to try the app. 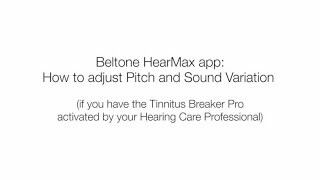 Demo mode simulates the app features as if you were connected to a hearing aid. For example, you can change programs and adjust in the Sound Enhancer. You can choose Demo mode in the entry flow or enable/disable Demo mode under More in the app.